At VIE Collection, we don’t limit ourselves to a single star ingredient. The lab selects and assembles the most powerful benchmark ingredients. Used in optimal concentrations, they are combined with molecules from the forefront of anti-aging research, to visibly correct skin aging. Learn about a selection of VIE Collection benchmark ingredients. VIE Collection conducts advanced tests on its ingredients and formulas to clinically measure their effectiveness. 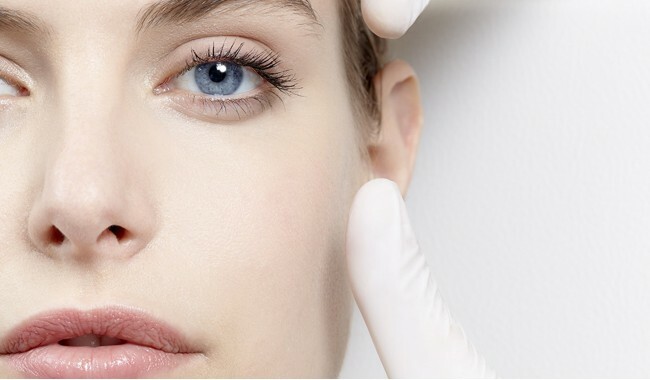 In addition to the professional judgment of our consulting esthetic doctor, all our products and treatments are subject to in vitro and in vivo studies led by independent labs. For each new product or treatment, technical files summarize and explain these clinical results. These tests can evaluate various anti-aging effects, such as wrinkle depth, complexion radiance, pore size, etc. Macrophotography illustrates these results. This test can evaluate a smoothing, anti-wrinkle effect. It measures the number and depth of wrinkles in crows’ feet, brow furrows and on the forehead. This test can evaluate a dark spot correction effect. It measures the number, perimeter, surface area and color of spots. This test can evaluate a smoothing, anti-wrinkle effect. This measures the reduction in three parameters (average roughness, average depth and amplitude) in crows’ feet. This test can evaluate a lifting, density-restoring effect. It measures the increase in the skin’s density, symbolized by the increase in yellow, green and white areas (fiber-rich).